Staring outside the bustling Seattle espresso shop watching the Loius Vuitton designer bags, the color co-ordinated scarves, the lights, the buskers playing christmas carols, I’m watching a 15 year old remove the seat of his bicycle, the front tire, and proceed to lock the bike to a no longer lonely light post. 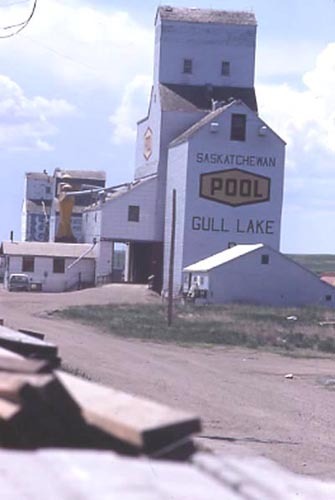 It’s funny how now after so many years of being away I look back upon growing up in simple small town Gull Lake Saskatchewan with such fondness. I can’t help but think of carelessly tossing my bmx bicycle to the curbside outside of freds trophies; unlocked and unattended for hours; as I went inside to spend my weekly allowance on Bubble Bobble, or whatever the trendy game of the day was. After I’m done sipping on this Grande decaf Americano, I’ll wander on past Sonic Boom, the Peoples Pub, Mattador restaurant, and proceed to unlock the 3 locks that guard my bachelors apartment. Is it just me, or was it a daily occurrence to head off to Gull Lake High School along with my sister and mom, leaving the house completely unlocked for the whole day? ← Windows installer – Reverse engineering COM self registration for a .exe COM server.